Summer down south is great and all, but is there anything better than a winter weekend in our beloved south west lying spread eagle in front of a crackling fire, drinking red wine and maybe getting up for the occasional rugged-up beach walk? But just in case you do get sick of scoffing delectable wine, cheese and chocolate in front of a roaring fire, we’ve done you a solid and rounded up some of our favourite South West activities for you to try, eat and conquer this winter. We present to you your south west winter bucket list. 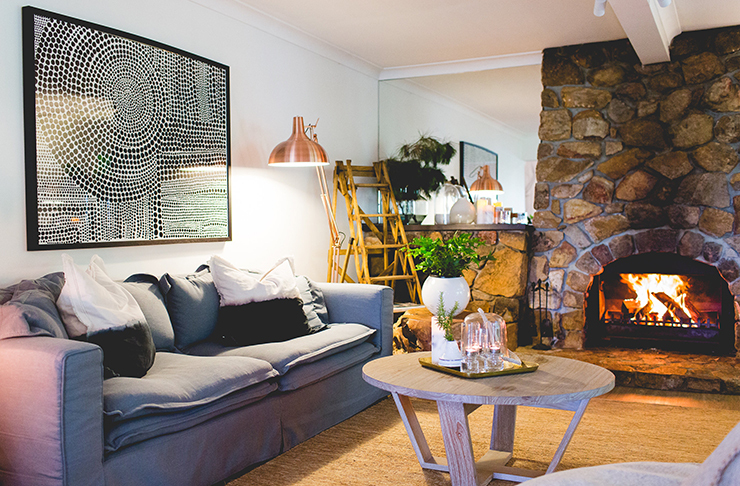 We’ve all got our fave places to stay, but there are some pretty incred places to stay down south, none more so than Empire Retreat, nestled into the bush half-way between Dunsborough and Yallingup. Featuring 10 luxurious suites, each perfectly designed with Empire furniture of course, the retreat is nestled within 265 acres of bushland (which you look out over while you enjoy a very tasty brekky in the morns!). This place is one of the best kept secrets down south and each suite includes a gorgeous bathroom, outdoor shower, a fireplace, the comfiest bed you’re ever likely to sleep in and an interior that is to die for. I could quite happily live here, it’s the best! There are so many incredible wineries down south and this winter, a whole bunch of them are offering great deals. At Aravina Estate, you can treat yourself to a two-course lunch for $60 including a glass of ‘A series’ wine and Xanadu Wines are offering a three-course lunch for $60. At Hay Shed Hill’s Rustico, settle in for the degustation from Monday to Friday and you’ll get premium wine paired to each course for free. There’s nothing better than a wild, wintery walk down south, especially if you know you’re going to be indulging later that evening (who me?). 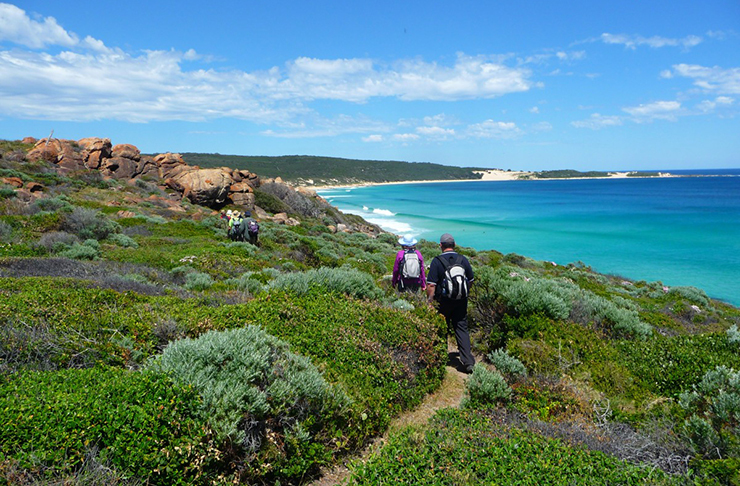 If you’re feeling fit, try ticking off a chunk of the cape to cape like Cape Naturaliste to Yallingup (14 km) or river mouth to Boranup Forest (26 km), both of which are absolutely stunning! If you’re looking for something slightly easier (ahem…), the Carters Road to Margaret River trail (3.4km) is part of the Wadandi Track Rail Trail and would make for a nice leisurely stroll before brekky. Dubbed the fastest growing micro-brewery region in Australia, Margaret River is now home to three new breweries—The Beer Farm Micro Brewery, Black Brewing Co. (the distilling arm of Sampson & Bowen which has taken over the former Duckstein Brewery location) and Brewhouse Margaret River which came about thanks to three mates who decided that Margaret River needed a brewery that they could walk to from town. Oh and if you’re a fan of the harder stuff, The Margaret River Distilling Company is the second venture for Albany’s Great Southern Distilling Company and features a cellar door and casual tavern-style dining in a lush forest setting where you can sample the award winning single malt whisky or their gin, vodka, brandy, grappe and absinthe bitters. The food options have never been better in the south west! Some of our faves include Miki’s Open Kitchen (for some of the best Japanese food you will ever eat), Riversmith Cafe, Arimia Estate, Voyager Estate, Vasse Felix, Piari & Co, Lamonts, Wills Domain and Wise Winery. Sometimes all you wanna do is slob around on down south weekends, but it’s always nice to head down for a reason and one of these winter events could be reason enough! Eagle Bay Brewery is hosting a Trifecta dinner on 22 July, where $75 will get you a beer on arrival, starter snacks and dinner courtesy of three local chefs, plus tunes from Paige Valentine. Cooking classes are always fun but when Cape Lodge executive chef Michael Elfwing is hosting one, you know it’ll be amazing. Michael has worked in some of the world’s best kitchens including Heston Blumenthal’s Fat Duck, and will help you whip up a suberb three-course lunch using seasonal local produce. The best bit? You get to sit down and enjoy it after in the Cape Lodge restaurant. The next two classes are on 30 July and 20 August. Can you really call yourself a West Aussie if you haven’t seen a gig at Settlers Tavern? Check their website for upcoming gigs—our pick is Seth Sentry on 13 August. Holy mother of cheese! If you can get yourself to Fair Harvest in Margies on August 14, you will learn errythang about how to make camembert cheese. You will get to taste it all and at the end of the day, you'll take home your own cheese to consume at your leisure! A film festival like no other, CinefestOZ premieres feature films and events all over the south west in cinemas, wineries, small bars and galleries. It all kicks off on 24 August and it's gonna be rad. If one City To Surf isn’t enough for you, why not hit up the Busselton City to Surf on 14 August as well. The event starts and finishes at Signal Park and there is a 4km and a 12km course, with peeps able to walk, run or use their wheelchair. Looking for more travel inspo? Here's how to spend 48 hours in Broome! 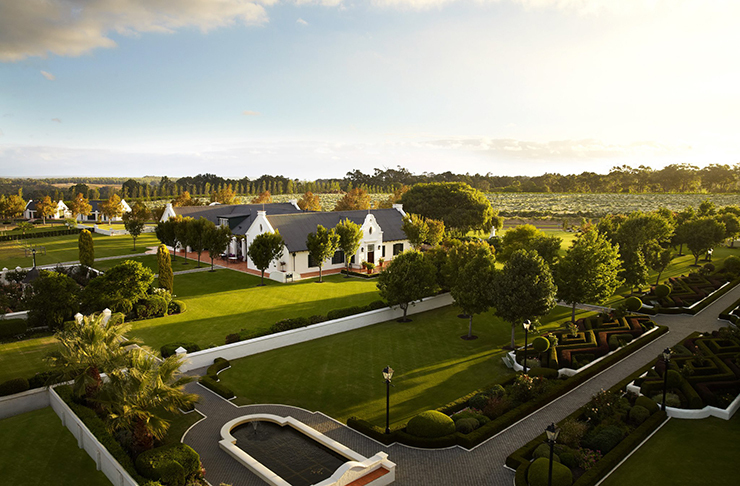 Image credit: Empire Retreat, Inspiration Outdoors, Voyager Estate.